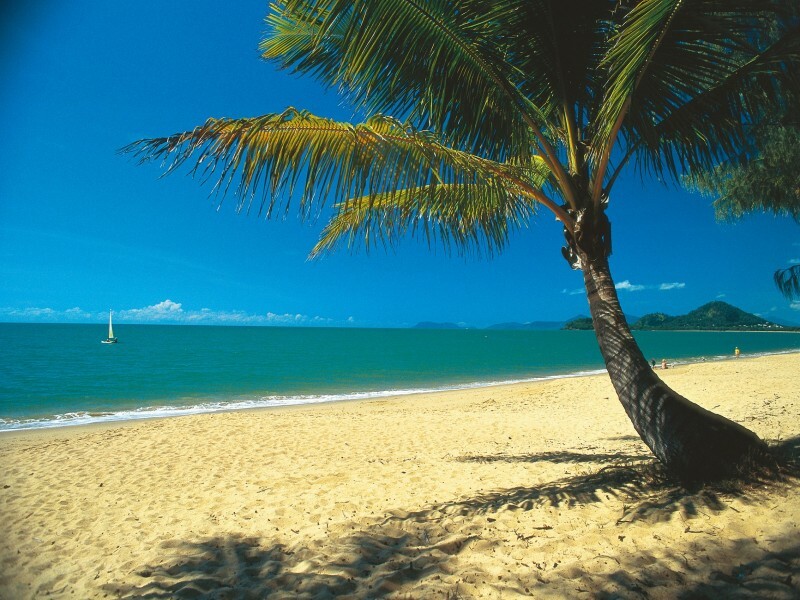 Palm Cove is a tranquil palm-lined coastal village located a short 20 minutes north of Cairns. 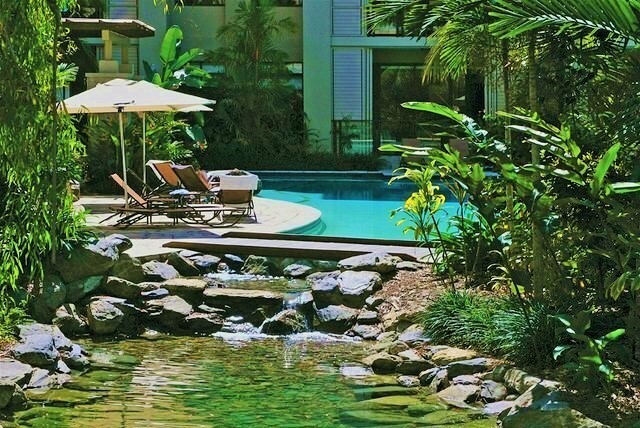 A paradise oasis Palm Cove appears as if it was created purely for pristine beach holidays comprised of lazy days on the white sand and aqua water, snorkelling with tropical fish around the Great Barrier Reef, relaxing into a spa treatment, and deliberating over award winning cuisine options. A vacation in Palm Cove is an elegant amalgamation of sophistication and a relaxed beach culture that permeates even the most stressed and tired of visitors to reinvigorate a love of life, sun, and sand. 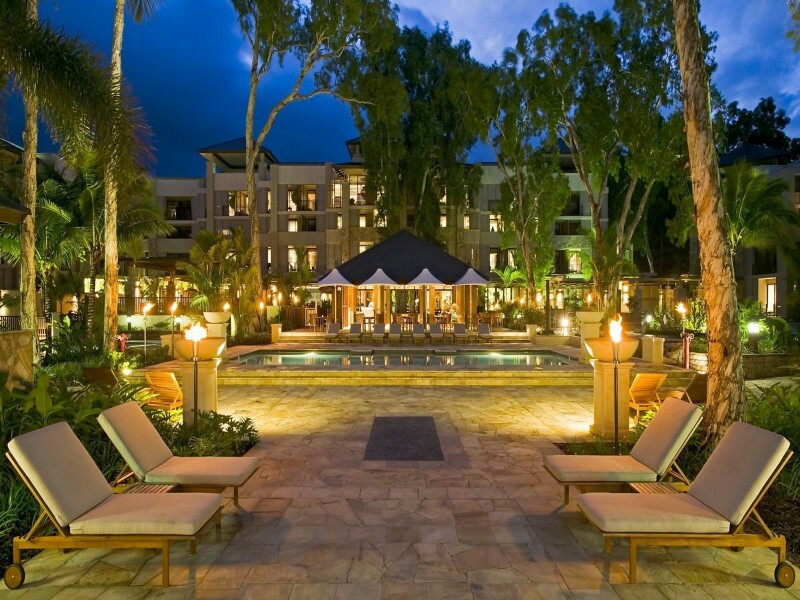 A myriad of world class resorts are peppered throughout the natural masterpiece that is Palm Cove. These resorts are complimented by an array of restaurants, spas, and boutique shopping on offer that completes the holiday experience. 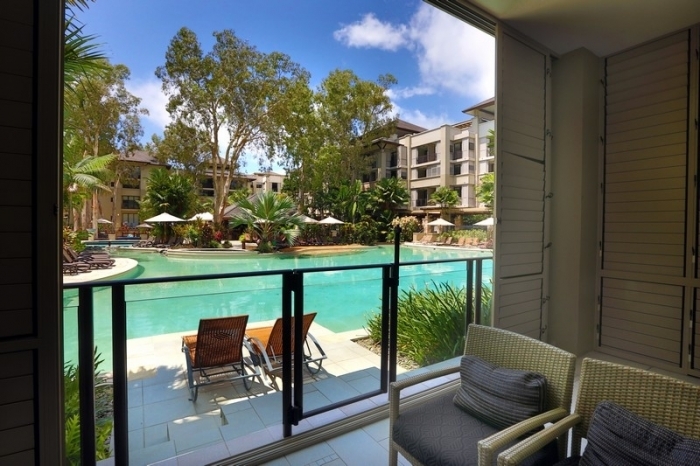 To experience 5 star luxury on your own terms, with relaxation and family fun being at the top of your priorities then look no further than Boutique Collection’s array of privately managed apartments at Sea Temple Palm Cove. This resort takes its job seriously and begins impressing as soon as you arrive with spacious apartments, modern finishings, and a host of friendly staff ready to assist. This handpicked collection of private self-contained resort apartments offer a variety of accommodation styles including lavish studios, apartments, swim ups (rooms with direct access to the lagoon), penthouses, and villas. Options range from one to three bedrooms with private plunge pools, private roof top BBQ areas and spas. The Sea Temple Resort Palm Cove aims to please, and hits the target every time. Being a private collection, the very best apartments are selected and managed by the Boutique Collection team separate to the resort, so guests have full access to all resort facilities with additional services provided by the Boutique Collection. The offsite office is conveniently located a short drive from the resort for check in with staff personally showing guests to their apartments. All Boutique Collection apartments except the studio have a fully equipped kitchen, a big hit with families staying slightly longer as it gives them the option to lighten the budget by enjoying a meal or two in their luxury accommodation. It’s also handy to prepare lunches such as sandwiches or wraps for days on the beach or by the pool. Another convenience of the Sea Temple is the direct access to Palm Cove beach so parents need not worry about sandy car trips or busy roads to cross to reach their own piece of coastal bliss. Staying by the pool for the day lends you three options, the children’s pool area, the grand lagoon, and the lap pool. For those in a swim up apartment you can step out of bed onto your private deck, dive straight into the grand lagoon and float across to the pool bar for your morning java (or bloody Mary – whichever is your chosen holiday breakfast beverage!). 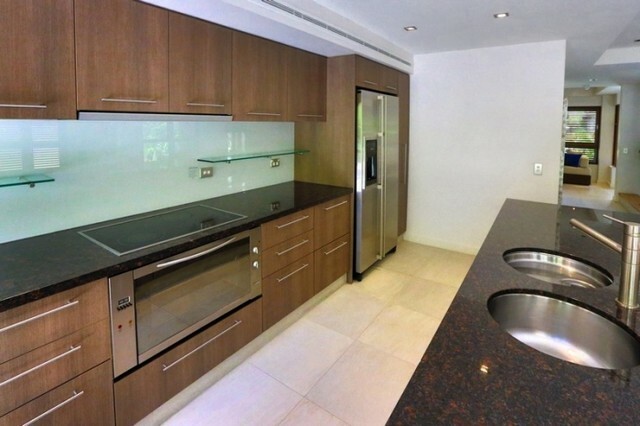 The penthouse suites offer the very best of Palm Cove luxury with exceptional value. Imagine, if you will, a lavish buffet breakfast followed by a stroll down the white sand beach with a quick dip in the water before hitting a few boutiques down the esplanade and a beautiful alfresco lunch. Then returning to the resort to enjoy a BBQ dinner on your private roof top entertainment area or simply a cocktail in the roof top spa watching the sunset over the coconut palm-lined beach. Restaurant options include both indoor and alfresco dining as well as the pool bar in the Sea Temple Resort. Stepping out of the resort you are spoilt for choice along the esplanade in Palm Cove, with the Beach Almond Beach House offering mouth-watering seafood with a delightful Asian twist. The region has much to offer in the way of natural beauties such as award winning beaches, world-class reefs, and luscious rainforests all of which are complimented by a plethora of activities and attractions such as Great Barrier Reef exploration trips, adventure and thrill seeking activities, rainforest walks, stunningly manicured golf courses, exhilarating water sports, wildlife experiences, kayaking and stand up paddle boarding, and of course an old favourite – fishing. 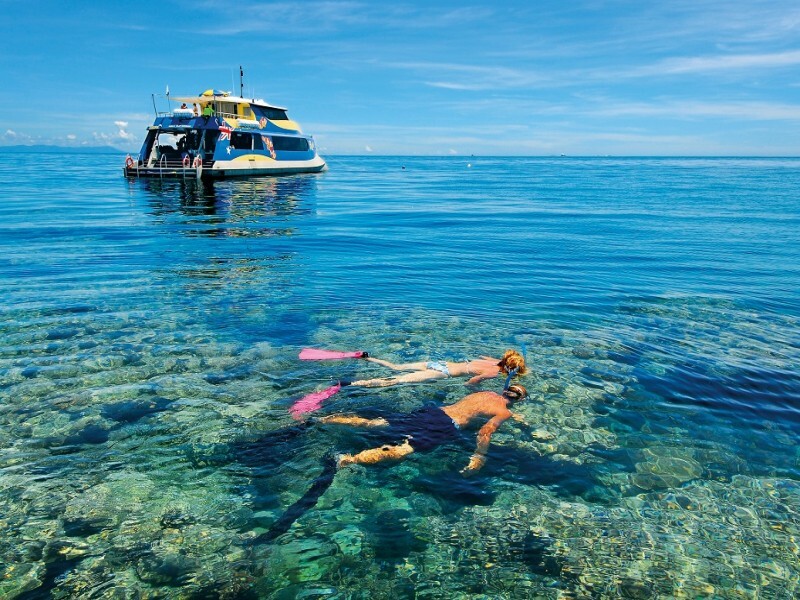 Discover Queensland recommend both Sunlover and Quiksilver Reef Pontoons to explore the Great Barrier Reef for youth, couples, and families. The air-conditioned catamaran equipped with Wi-Fi leaves between 9am to 10am. The adventure begins once you arrive with snorkelling amongst tropical fish in a safe, enclosed area, an on-board touch tank to get up close and personal with the marine life, a guided coral viewing from the semi-submersible, and a glass bottom boat ride followed by a delicious buffet lunch. 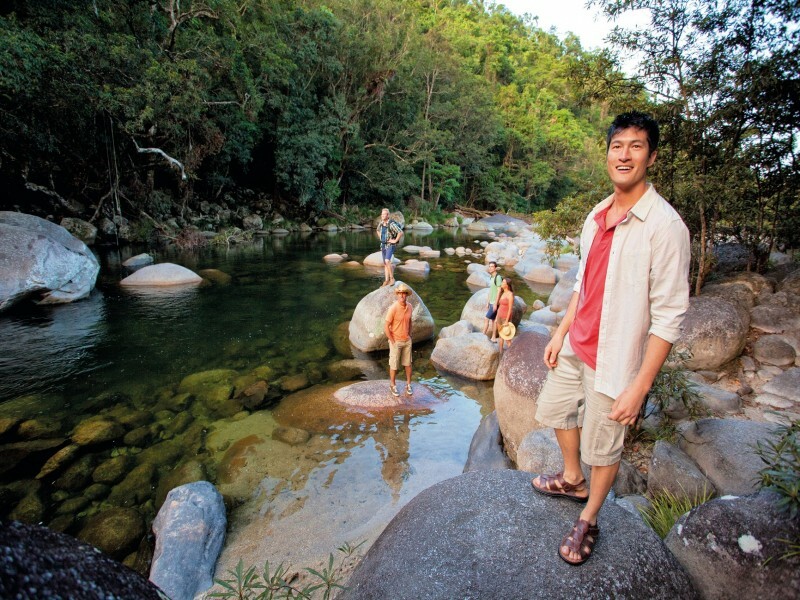 For an unforgettable land experience, venture north to Daintree Rainforest, it contains a plethora of luscious bush walks displaying the native flora and fauna in its natural setting. 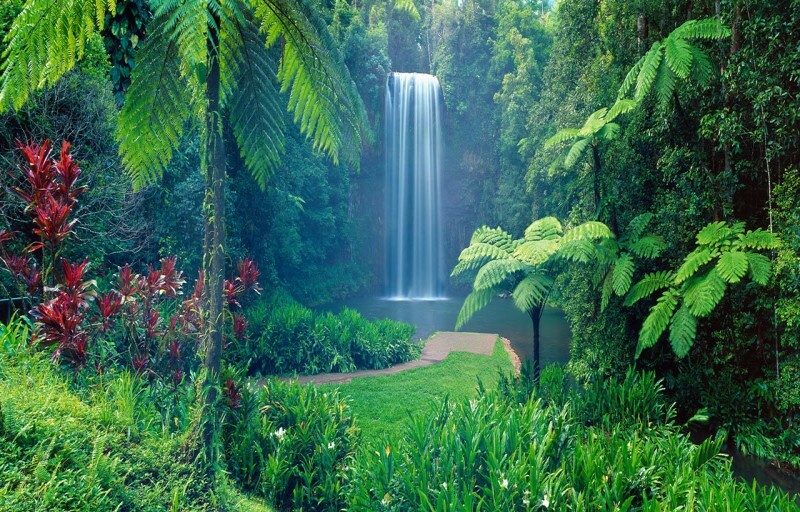 The Atherton tablelands are a less typical approach to a tropical north Queensland activity – that encompasses undulating green hills, waterfalls, and a slightly cooler climate. When venturing inland to the tablelands the stunning Millaa Millaa Falls and charming Kuranda Village are not to be missed. 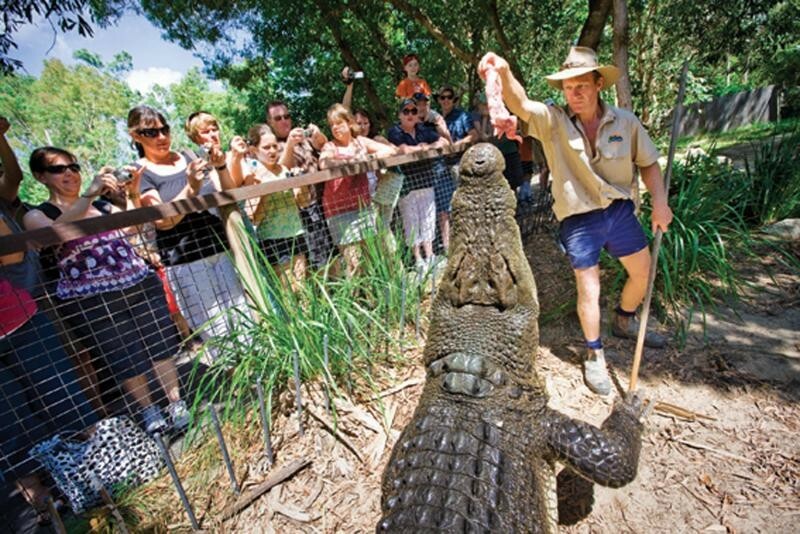 For animal encounters in a controlled environment Cairns Tropical Zoo is a hit among children and adults alike. While Hartleys Crocodile Adventures provides a less than usual approach to getting in touch with nature. This amazing facility provides education information about reptiles as well as other indigenous species through tours and boat cruises and has won the Tropical North Queensland tourism award. 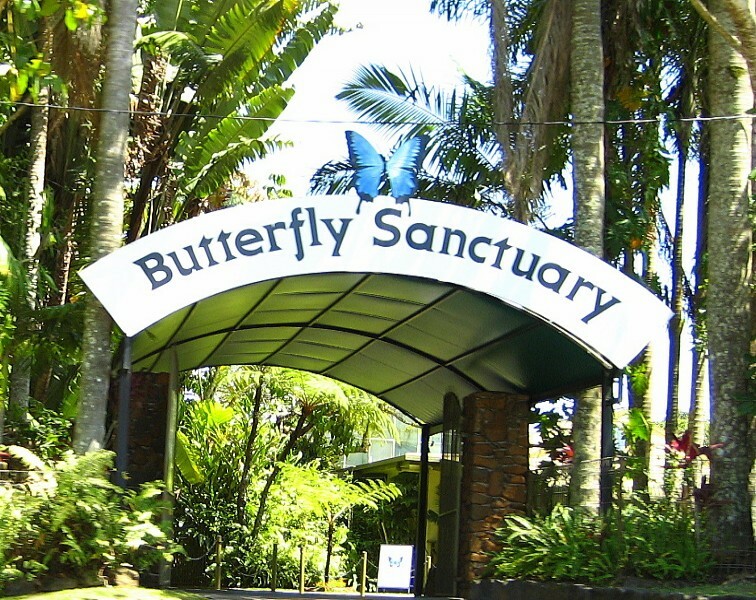 The Australian Butterfly Sanctuary is a short drive north of Palm Cove in Kuranda and is Australia’s largest butterfly aviary and exhibit. Explore over 1500 species of butterflies on a 30 minute guided tour that the kids will love, with the option to upgrade and adventure through the Rainforest Nature Park. Right next door are the Kuranda Markets full of local produce, dining options, arts and crafts, clothing and many other treasures to be discovered. Be sure not to leave Kuranda without checking out the Skyrail Rainforest Cableway voted Australia’s Best Major Tourist Attraction. The Skyrail floats guests 7.5 kilometres across canopies and deep into the luscious tropical rainforest in a six person gondola cabin showcasing panoramic views of the Coral Sea and immersing you in an intimate rainforest experience like no other. There are stops along the way where you can explore the environment from the ground along boardwalks that lead to look-outs and the state of the art Rainforest Interpretation Centre. After your adventures through the tropical north be comforted that you can retreat back into your luxurious Sea Temple Palm Cove apartment for an evening of relaxation. The apartments are equipped with wired in room internet and Wi-Fi throughout the resort for guests to stay easily connected and update loved ones (or social media) with pictures of the day’s adventures. There is also a beautiful day spa that offer a comprehensive range of treatments from massage and facials to body waxing and beauty enhancers. For those committed to their fitness regime there is also a fully equipped gym, although to truly absorb the beauty of Palm Cove Discover Queensland recommend early morning beach runs – there is nothing quite akin to a Palm Cove sunrise! 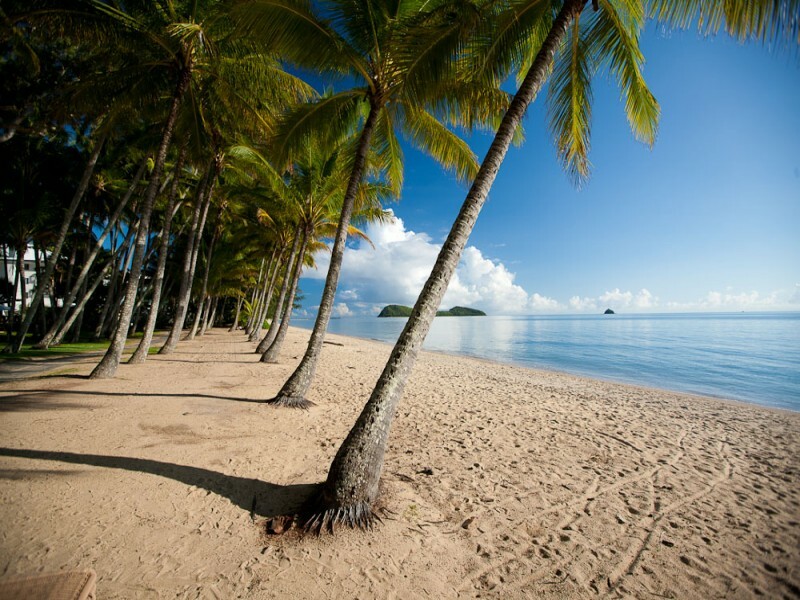 Palm Cove is a slice of paradise modestly laying claim to the world’s most impressive coral reef, long sandy beaches with crystal clear waters, framed by rainforest-clad mountains and peppered with fine dining and activities to please any holiday style. If you are in search of the ultimate tropical paradise, there is no better than the Sea Temple Palm Cove so speak to the experts at Discover Queensland to book your very own piece of utopia today.